I started reading an article online about saving money at the pump when transporting a canoe. It was an older article when gas was a bit more expensive but it said when a vehicle has a car on it the vehicle’s gas mileage decreases from five to 25 percent depending upon the vehicle model. Depending upon what you drive that can make a big difference in the cost of gas. I didn’t finish reading the article because it required clicking an additional link but it did get me thinking about transporting canoes to the Boundary Waters. The price of gas isn’t the only thing you should consider when determining if you will bring your own canoe or rent one for your BWCA trip. I came up with the Top 10 Reasons to Rent a Canoe instead of bringing your own to the Boundary Waters. 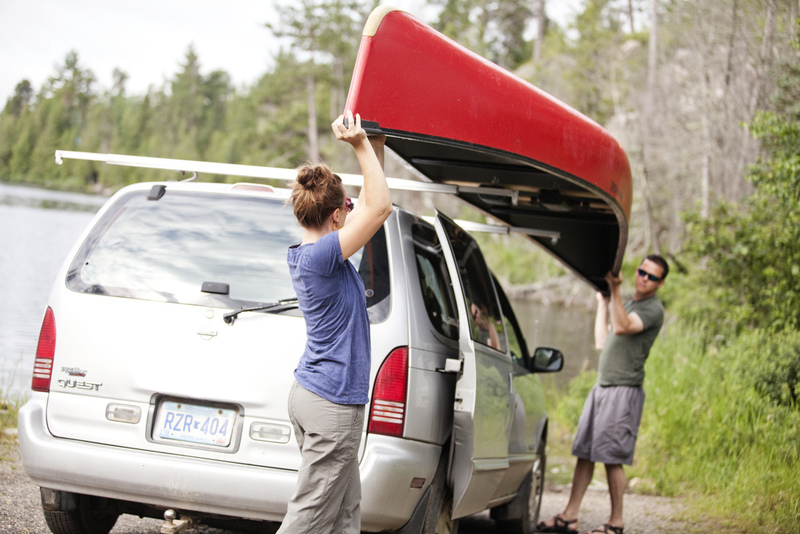 Putting a canoe on a vehicle can cause dents, scratches and more to the vehicle and/or canoe. You need to purchase supplies to transport a canoe whether it’s a rack, straps, trailer and/or foam carriers. Transporting canoes may lead to flying canoes or runaway trailers which can cause an accident or property damage. It takes time and muscles to load, unload and check your load. It can be stressful to transport your own canoe due to worrying about weather, wind, tie job, etc. Renting a canoe allows you to try out different sizes and types of canoes. It will require additional cost in gas to transport canoes. Voyageur includes free transportation to other entry points on the Gunflint Trail when you rent a canoe. It will keep your outfitter afloat. Can you think of any other reasons you should rent a canoe instead of bringing your own? If so then let me know!